When you’re in an emergency, who do you call? A parent, husband or wife, boyfriend or girlfriend, a brother or sister, or a close friend? What about your dentist? 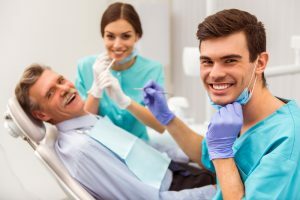 Your dentist at Penn Dental Medicine has your back (or rather, your mouth) when catastrophe strikes. Low cost emergency dental services are uncommon and difficult to find when you’re in the midst of an urgent situation. Sometimes, a non-emergency turns serious because of delayed treatment. 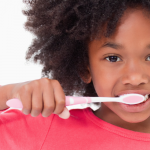 A cavity may start small, but if left untreated it can grow into a serious condition. 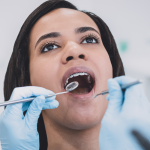 At the worst, a patient can die from an untreated dental infection. Patients can also lose part of their jaw or damage their organs due to sepsis as the bacteria enters the bloodstream. 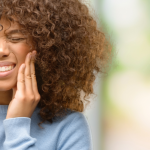 The point is that even if you are suffering from a simple toothache, it’s important to see the dentist sooner, rather than later. According to the CDC, 31.6% of adults between the ages of 20 and 44 have untreated cavities. Broken Teeth: A broken tooth can often be saved, but it’s important to have it addressed as soon as the break or fracture occurs. Call our office number at 215-898-8965 to set up an emergency appointment, Once we hear what’s happened, we’ll make arrangements to treat your break. Oftentimes, an endodontist is the specialist who can best address this problem. Collect the broken pieces of your tooth, as it may be possible to re-attach the tooth. After treatment, cracked teeth often continue to function well, with many years of pain-free chewing. Knocked-Out Tooth: For the best results, a knocked-out or displaced tooth should be put back in within 10 to 30 minutes of the accident. After two hours, the probability of the tooth taking root again decreases dramatically. Call us at Penn Dental Medicine at 215-898-8965. Appointments are available throughout the day (8:00-4:30). If it’s after regular office hours, go straight to the University of Pennsylvania Hospital or your nearest hospital. Lost Filling: A lost crown or filling does not, generally, merit the kind of emergency treatment of the previous two injuries. That’s because the first two compromise the health of your tooth if they are not treated immediately. However, a lost filling/crown will cause damage to the unprotected tooth tissue if left untreated. When the crown or filling falls out, place it in a safe container and make an appointment to see a dentist within the next week. 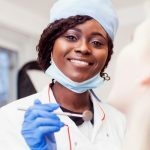 It may be difficult to locate free emergency dental services, but there are affordable, trustworthy options, such as at Penn Dental Medicine. Even if you are experiencing financial difficulties, for your own wake we urge you not to wait to treat the above conditions. Penn Dental Medicine can offer low-cost care because we operate out of a dental school. Being sensitive to our patients’ financial needs, we work with you to ensure a payment plan that is feasible for your budget. Our biggest priority is to treat your emergency so that you won’t suffer from future problems or financial burdens. Dental restoration, including dental implants, is also available at Penn Dental Medicine.